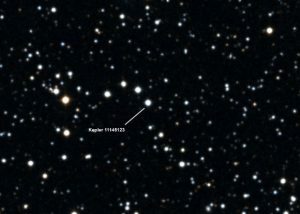 From years of observation, scientists confirm the distant star Kepler 11145123 as the roundest natural object studied in the observable universe. Most toy solar system sets represent the planets as perfectly rounded, all orbiting an equally circular sun. Aside from the completely inaccurate sizing of the planets relative to the Sun, their ideal spherical shaping is misleading. Most astronomical bodies, including Earth, are not spherical, but rather slightly wider around the equator. Gravitational force pulls all the atoms on an astronomical body toward its center of gravity. So theoretically, massive objects such as stars and most planets should be spherical. However, all of the aforementioned objects rotate on an axis. The rapid spinning in one direction makes the body narrower in distance from the poles and wider from the equator. Instead of a perfectly rounded sphere, we have a distorted sphere, known as an oblate spheroid. The faster a planet or star rotates, the greater its flatness. For example, Jupiter’s day is only 9.9 hours long. Its rapid axial rotation explains why the planet measures 71,500 km across the equator and only 66, 900 km between the poles, an approximate 7 percent change. Kepler 11145123. Image credit: Centre de Données astronomiques de Strasbourg / SIMBAD. Jupiter measures much wider compared to Kepler 11145123. Located 5000 light-years away, the star completes a full rotation in 100 days. It measures a change in distance between the radius of the equator and the radius of the poles of only 3 km. Compared to the star’s average radius of 1.5 million km, 3 km is a tiny fraction of a percent. The star’s very slow rotation partially accounts for its near-perfect sphericalness. 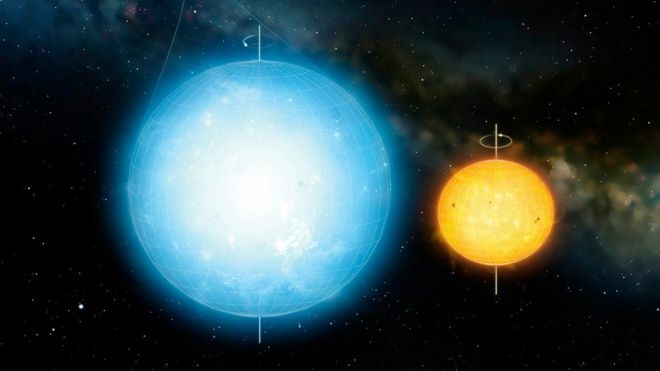 Scientists observed how the star rotates faster at its surface than at the core, also contributing to its roundness. There is additional indication that a weak magnetic field may be influencing the shape of the star as well. Dr. Laurent Gizon, an astronomer with the Max Planck Institute for Solar System Research and the University of Göttingen, led a team of researchers over four years using the Kepler Space Telescope to study Kepler 11145123’s oblateness. This is known as asteroseismology: the study of the oscillations (the fluctuating change in shape) of stars. Even in nature, perfection is a rarity. Astronomy, earth, Kepler, Kepler 11145123, Space, stars, Sun. Bookmark.